I read many articles outlining the Top 10 Cities to Visit and 50 Must-See Places Before You Die (I don’t see how “Before You Die” is necessary. Would they expect me to see these places posthumously? ), but for some reason, Guilin, Guangxi, China, never makes the list! How can that be? 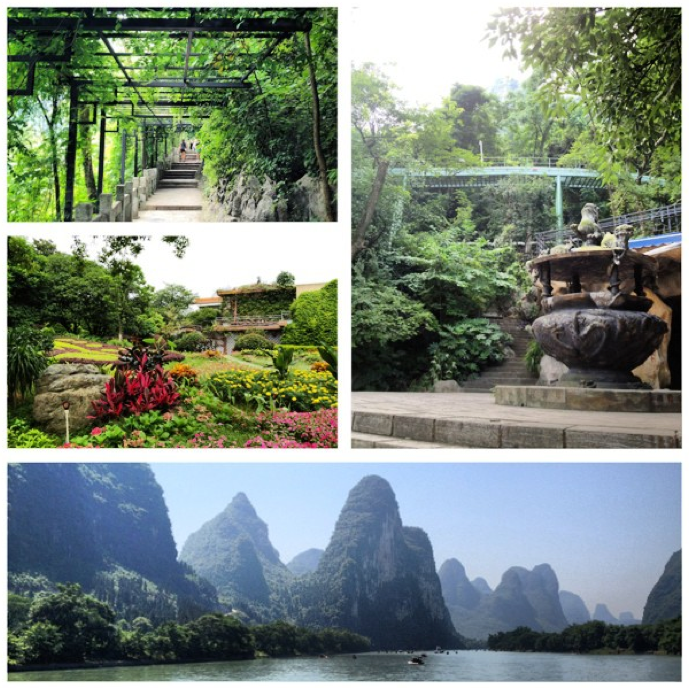 After visiting Guilin on the 2013 Narcissus Goodwill Tour, I have to wonder: could there possibly be a more gorgeous, serene place in all of Asia? I’ve traveled to lands where the mountains just do not compare to those of the Hawaiian Islands, but Guilin was a marvel, to say the least. The fog over the Li River, the dramatic hills and valleys in every direction. Even Guilin knows how beautiful it is; the government prohibits building anything over two stories tall! While the town is dusty and first-world-esque, the nightly performances on the river that depict the songs of their culture and the beautiful surrounding landscapes are vivid and powerful, harkening centuries of the land’s history and development. 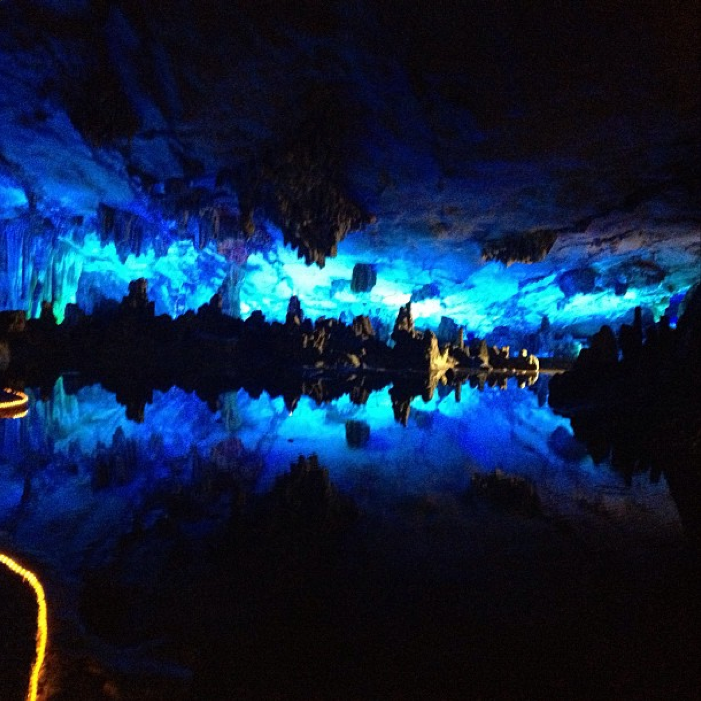 In the Reed Flute Cave (Lu Di Yan), lights are added to the natural cave, creating visually astounding works of art. Sections of the cave are treated like art exhibits, with titled plaques throughout to foster onlookers’ creative perspectives. Titles such as Boy Riding Praying Mantis are often absolute mysteries as you see nothing of the sort, but it’s a fun, touristy attraction that, to me, feels a lot like the magic of Epcot Center’s Imaginationland from childhood, captured in a way that I can experience again as an adult. It’s a shame I didn’t document the trip immediately, and I hope beyond hope that the photos I took were uploaded to my computer before my Sim card decided to quit on me not long after. If not, I will just have to return—because it is worth it. Next Post The Forbidden City: Meh.